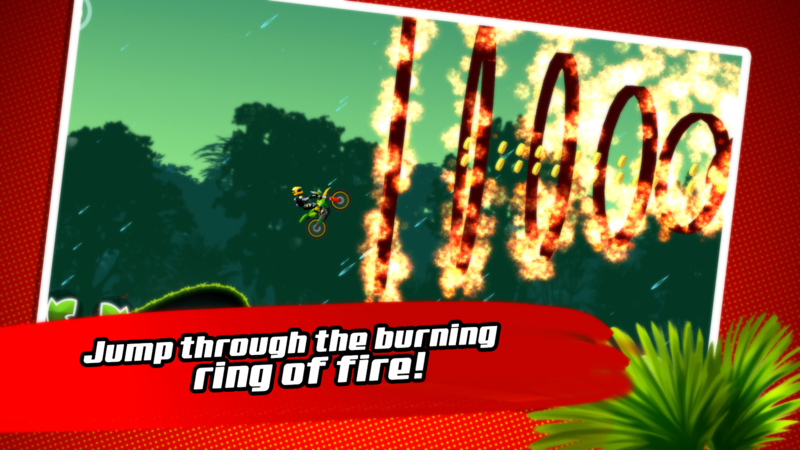 Are you ready to drive in a dangerous Jungle Motocross dirt rally? 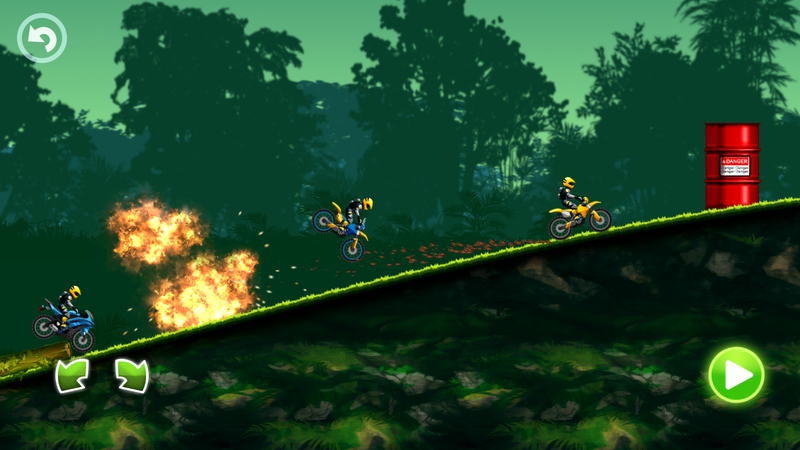 If yes, then pick your favorite motorcycle from 4 given ones: The Hawk motorbike, Rush motorcycle, Green Devil and Chilly Devil motor rally cycles! 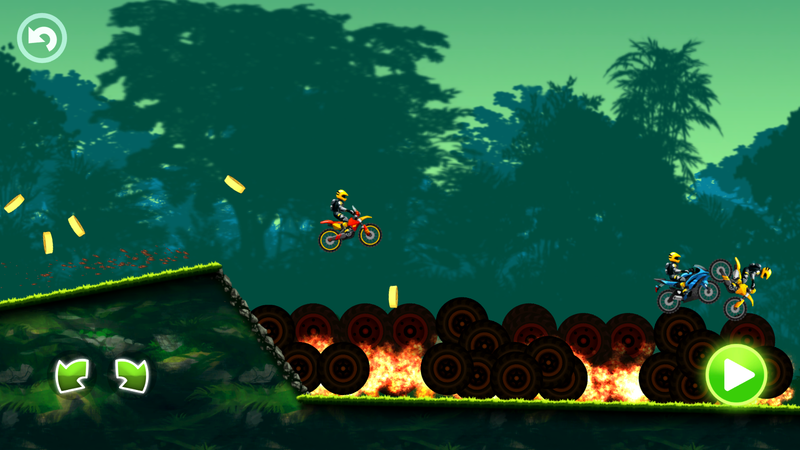 Prepare for high speed race, compete with other motorcycle racers, jump through the burning ring of fire, do extreme stunts, dangerous backflips and frontflips and ride on an swampy mud track! 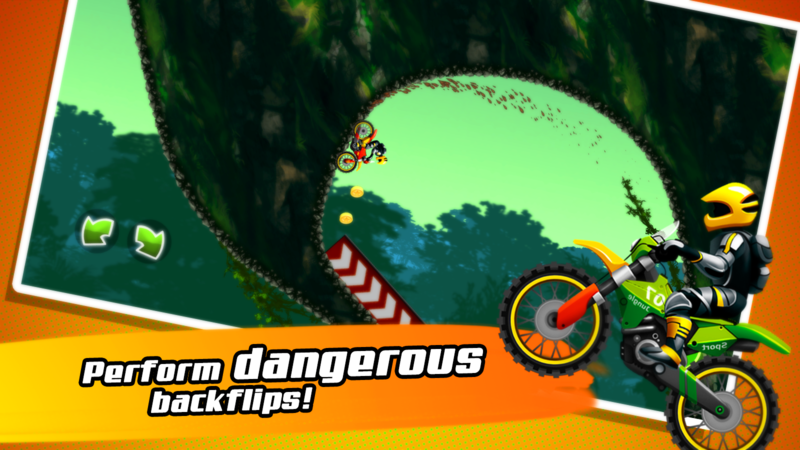 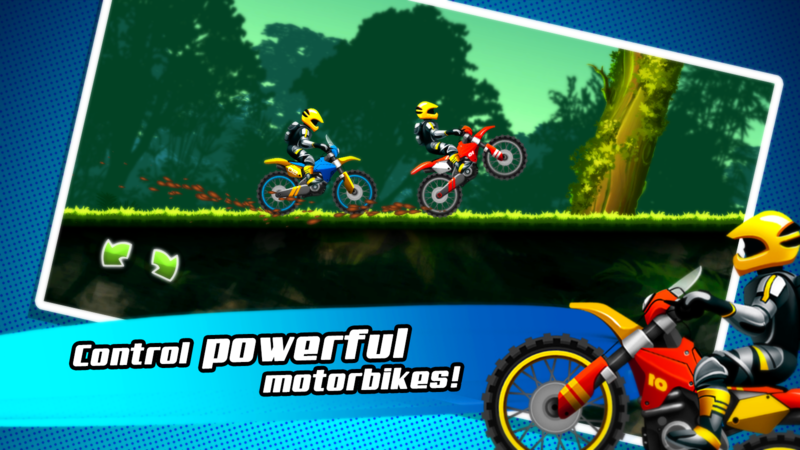 If you are an adventure seeker, then this dangerous racing game is right for you! 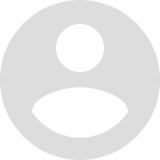 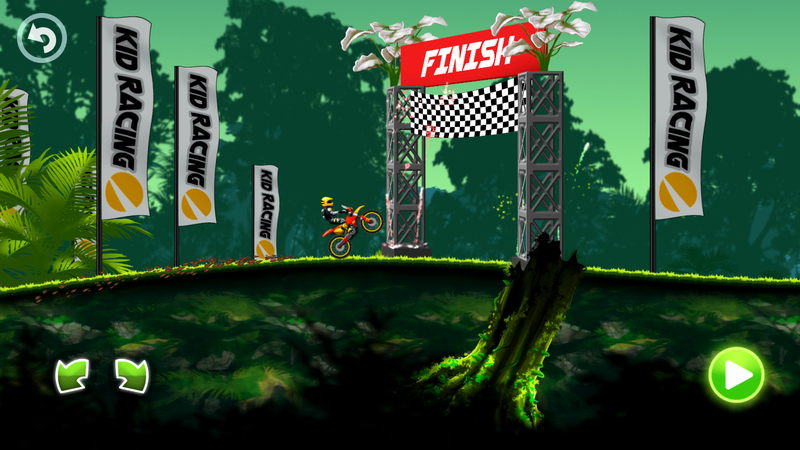 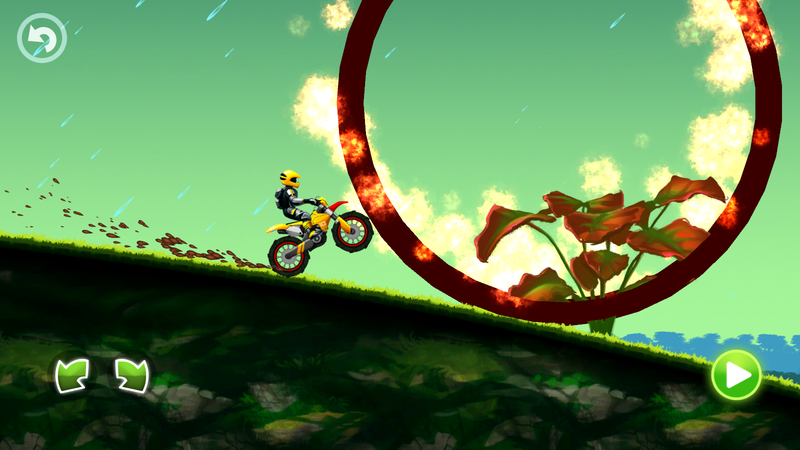 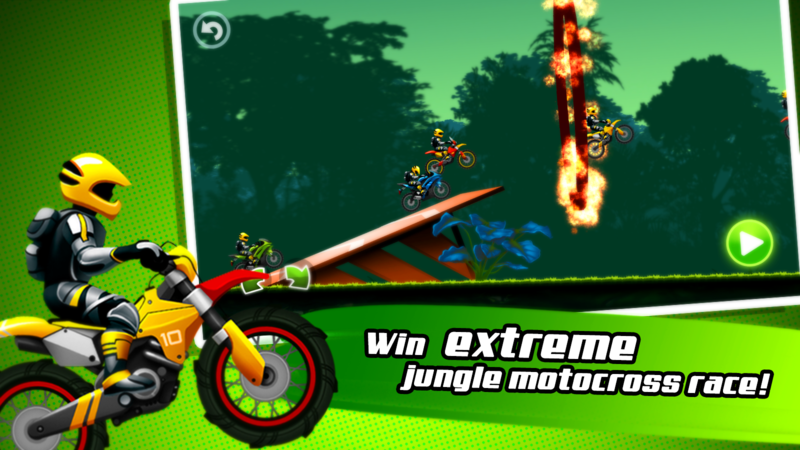 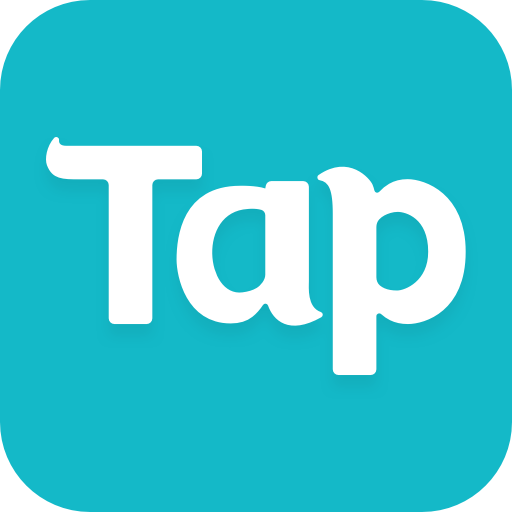 Jump on the motorbike and win the most dangerous jungle race!